During the first CRISHOW ROCKUMENTARY in Osaka, JKS was interviewed. Rather than speaking in Japanese, he replied in his native language, Hanguel, according to the tweets of several Japanese Eels. He also spoke in English. He surprised his Japanese Eels because his accent was so perfect. However, we're not sure what JKS said to the audience, but it apparently was along the lines of how happy he was that Eels had followed him for so long and that both he and Eels will change in the future, but they can all still walk together into the future. The Korean Eels, attending the show last night, were sincerely appreciative of his thoughts towards them. Here is a translated quote from one of those Korean eels. I'm leaving out her name and twitter ID to protect her privacy, but her sentiment is completely endearing. "Jang Keun Suk, who laughed at the fact that he was no more than six years old when he started his career, was able to see the history of Crishows and the artist sanding at the present stage. He was wonderful talking about his creations." 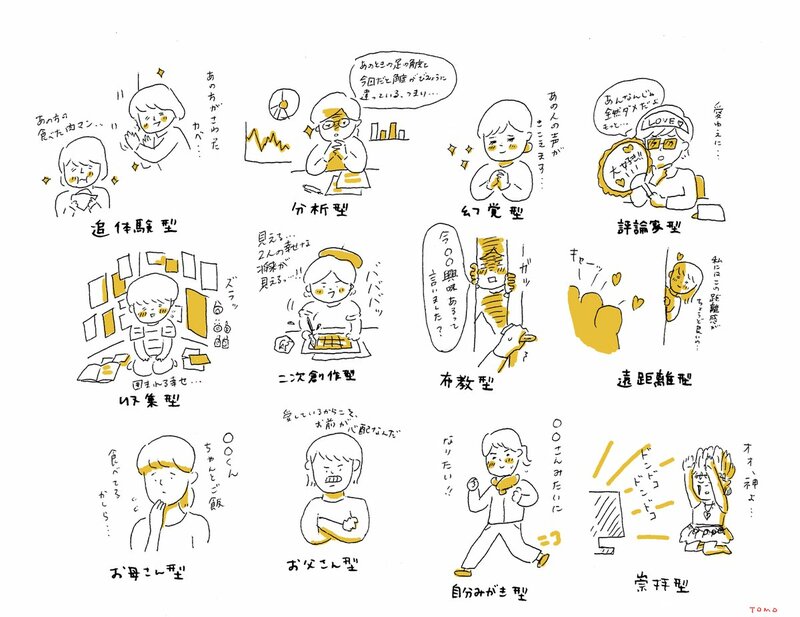 English translation: Various forms of fan love are surely endless. 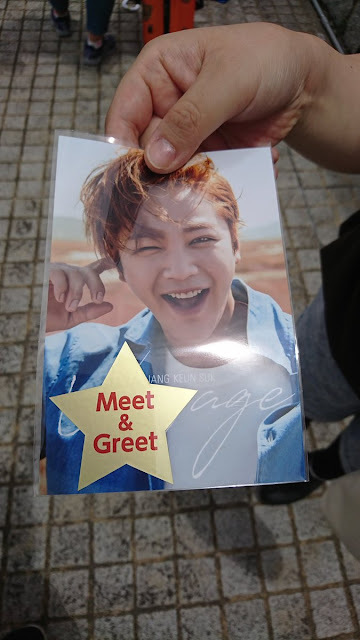 Yes, that's an actual raw photo with a sticker that enables the recipient to attend the Meet & Greet with JKS. Only 10 are handed each at each concert...but, oh, the lucky Eels that receive them. Just imagine meeting him in person and talking to him! 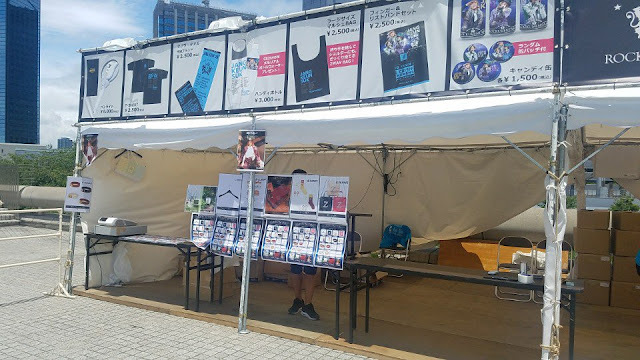 Finally, some items were completely sold out and no more remain. 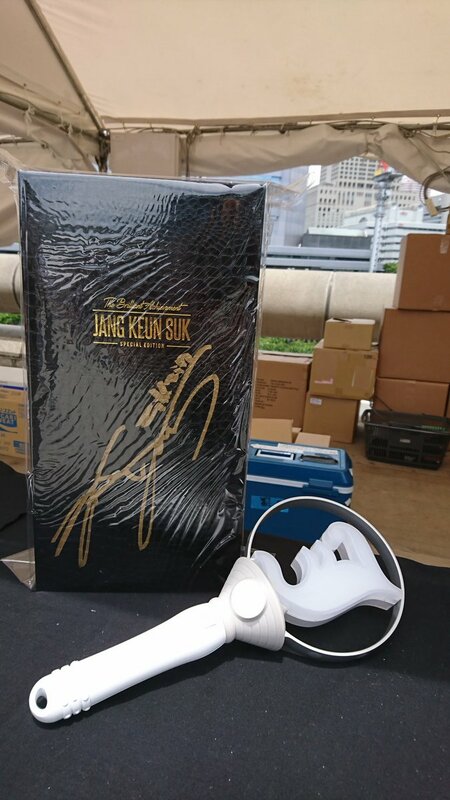 But attendees are being asked if they have any of the JKS signed items. The merchandise booths open at 10 a.m. Got lots of cash or your credit cards handy, Eels?